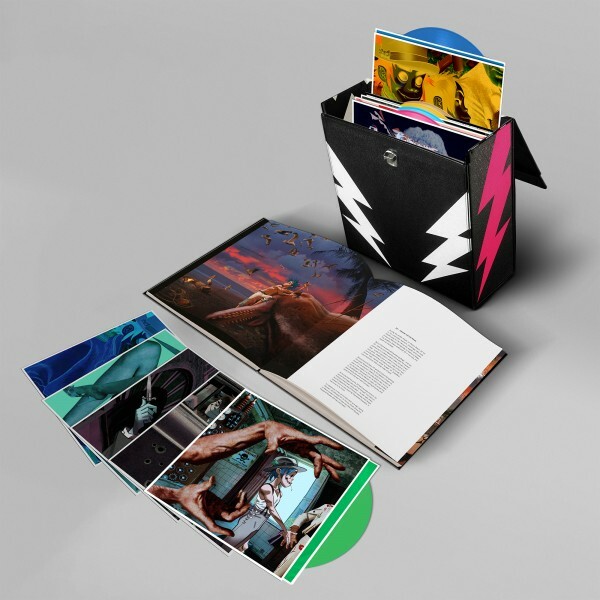 Gorillaz’ new album Humanz, presented across 14 individual pieces of 12” coloured vinyl (each one a different colour), packaged in individually art-worked sleeves. Each piece of vinyl features an album track, backed with an exclusive ‘b-side’ featuring alternate versions of Humanz album tracks plus further previously unreleased material. Includes a 54-page, cloth-bound, foil-blocked, hardback book of Gorillaz artwork by Jamie Hewlett and a download card, all housed in a bespoke 12” vinyl case. You will be sent a download code for the original album audio upon completion of your order. This is super-limited and once it’s gone, that’s it, so don’t hang around.